We all have someone extra-special in our lives who deserves—well, more. And as we’ve noted in a previous post, we think the best way to show your appreciation to give them experiences instead of stuff – after all, experiences can be shared with these special people in your life. You’ve probably given cooking gadgets and recipe books, but what about a cooking class? Perhaps there’s someone in your life who binges Anthony Bourdain but can’t boil water. Or you know a budding chef who always makes pasta from scratch and spends every Sunday making stock, but they’ve been saying how they really want to explore Indian cuisine. The best thing about this gift idea is that there are options for all levels of skill and enthusiasm. Do a cooking class at this resort in Prince Edward County that takes advantage of local ingredients, or check out one in Muskoka that gets famous chefs to stop by and teach. Trust us: travelling through snow is a lot more fun when you’re dogsledding. Take a loved one on a dogsledding adventure through the Halliburton Highlands, complete with wood-burning fireplaces, candlelight dinners, and a spa for post-adventure recovery. And hot chocolate. We think there’ll be hot chocolate. Tickets to spend the afternoon at the museum is a treat. Tickets plus the time you and your gift recipient spend together at the museum is the real gift. Of course, collections change, new artists are celebrated, and different shows get mounted, so the experience you get out of one of our cultural institutions changes all the time. And if you have an extra special person on your list, you can give them a yearly subscription to one of said institutions. After all, grandma may really love seeing every musical Mirvish does this year, but what she’ll appreciate best is an evening out with you. Maybe the gift you want to give is an extra-special Christmas for your whole family. Well, how does this sound: horse-drawn sleigh rides, tobogganing, snowshoeing, maple taffy, skating, winter carnival, and so much more, all while staying in a fun cottage or resort townhouse? Sounds like an amazing family Christmas to us. Post-holiday stress slaying, a mini-vacation, or even the rare feeling of being pampered—this is what you give when you send someone to the spa or barbershop. There’s a whole world of mani-pedis, facials, massages, straight razor shaves, and more available, making for a relaxing end to the holiday season. You could give the gift of more facials than one can choose from. Or you could give something very interesting, like a day at a warm volcanic rock studio. Or go all out and give a whole day (or more!) at an ultra-luxurious spa. Resorts of Ontario offer $50, $100, $250, and $500 gift certificates, good for over 100 resorts, inns, and bed and breakfast’s across Ontario. Spas, fishing trips, winter sport adventures—dozens of different experiences are offered. Order yours here. 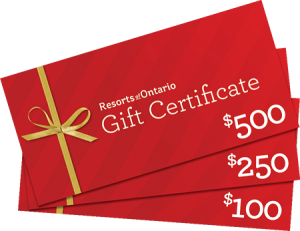 Go Resorting gift certificates opens the door to over 100 resorts, inns and B&B’s across Ontario, not to mention experiences such as golfing, fishing, spas and great dining. 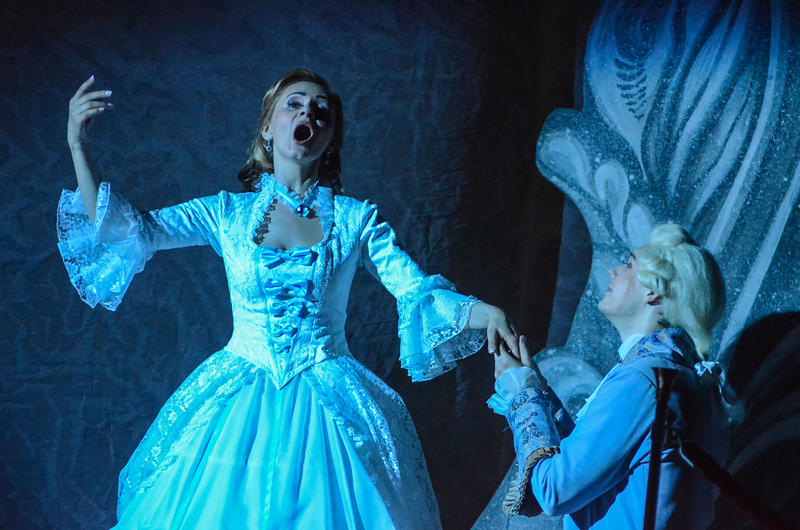 Check out our exciting packages – inspiration for giving the gift of an experience!